Fleas and ticks, such as brown dog ticks and the black-legged tick, can wreak havoc on your pets and your home, which is definitely a reason to keep them at bay. Finding the right medication for your pets to kill fleas, however, can be a difficult process. You want to make sure you have quality and that you have longevity, but there’s more to it than that. You want something safe for your pets and your family and you want to make sure it kills fleas. If you’re looking at NexGard vs. Frontline you’re in the right place. Designed to protect your pet against fleas and ticks, this medication is actually considered a prescription, but it’s one of the easiest ones you’ll ever give your pet. Instead of those pills, you have to try to hide in their food, you’re getting a small chew that looks like a treat, so your pets are going to love it. In fact, it’s so discreet you can even give it to them as a treat and they’ll never know they’re taking a pill. The biggest benefit that you’re going to have is that this ‘pill’ looks and tastes like a treat so your pets actually want it. But there are other benefits involved as well as the fact it kills fleas. It’s designed for dogs that are at least eight weeks old and weigh at least four pounds, which means you should be just fine giving it to your dog (though your vet will let you know the dosage and more based on age and weight). The chew itself also is FDA approved and has been proven both safe and effective for your dog. The main ingredient that helps with getting rid of the bugs is called afoxolaner and it keeps working for an entire month, just like the other versions of flea and tick repellent that you’ve probably tried with your pet in the past. Because this is a prescription, it means you’ll need to talk with a veterinarian and get a prescription that you can then have filled. This is different from other flea and tick medications that are available directly over the counter or even in your local store. Because you have to go to the vet it can be a little more of a process to get a new dose if you find that you’re out or if you start to notice a flea problem when you didn’t have one before. If you have other pets you can’t use this medication for them. While many pet owners who have cats and dogs are able to give the same type of medication to both pets (Frontline has a cat and a dog version, for example), these NexGard chews are only for dogs. That means finding a different way to get your cat to accept their flea and tick medicine. Side effects can be found with this medication as well, which include diarrhea, lethargy and a lack of appetite. 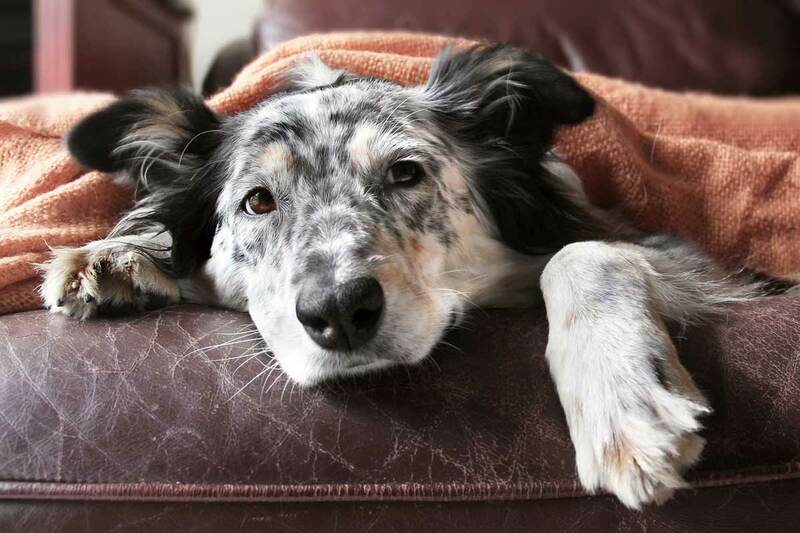 Vomiting and itching have been seen as well but the primary concern is for dogs who have a history of seizures, as they should be watched carefully. It takes approximately 24 hours for the product to get all the way through your dog’s system and for it to take care of the infestation. But, within 24 hours, you should have no more fleas or ticks. One of the most popular and well-known versions of flea and tick control, Frontline is available for both dogs and cats and provides a range of different versions of the product that you can use. Overall, this can be a benefit for many users and for the pets that they give it to as well. This is a product that you’ve probably heard about before and that you know a decent amount about. It’s been around for a long time and veterinarians definitely love it because they’ve seen it work for a long time too. That can definitely be a relief to any pet owner and lover. Another benefit is that this product actually gets rid of fleas, ticks, and eggs, so you don’t have to worry about getting the adults before they lay eggs. You can get them after and still take out the entire infestation. That’s something that NexGard doesn’t provide but you (and your pet) are going to want. This product is also available in several different levels, including Frontline Plus and Frontline Gold. They’re each slightly different but provide your pet with the absolute highest level protection. Each new version of Frontline that comes out is designed to protect against even more types of infestations and makes certain your pet feels great, all month. Just like NexGard, this medication treats your pet for an entire month so you don’t have to apply it again. It’s also available for both dogs and cats, so you get the same quality and same type of protection for both. Plus, you can get it without a prescription. You can go down to just about any store and pick it up for yourself without needing to see a vet. Another benefit is that you start seeing results in as little as 30 minutes because that’s when Frontline starts working and killing fleas. Within just 12 hours of an infestation, all of the fleas and ticks should be gone. One of the biggest drawbacks is that this product is a liquid that you have to apply directly to the back of your pet’s neck. If you’ve ever done it before you know that your pet doesn’t really like that idea and they tend to squirm and fight you while you’re trying to apply it. Also, you have to make sure they don’t get wet until it dries (usually a day) and you have to keep other pets from licking it. Of course, there are always side effects as well and with Frontline, these include itching, swelling, and irritation. Some pets have diarrhea, loss of appetite or even excessive salivation; however, side effects generally disappear within 24 hours or less. You’ll want to talk with your vet if the side effects persist longer. Overall, you’re going to have a great product no matter which way you go. Frontline has been extremely effective in getting rid of fleas, ticks, and eggs so it may be something to try if you notice a larger infestation. 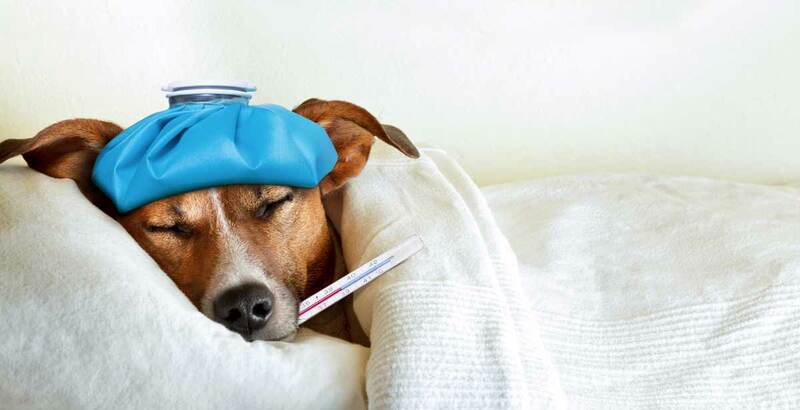 If you have trouble getting your pet to leave the medicine alone or even getting it on them the chews from NexGard may be the better way to go, however. Take into account the fact that Frontline has different versions and it’s available over the counter whenever you want it, however, and it becomes a little bit better of an option for many people. Still, the ease of use with NexGard and the fact that it gets rid of most of the same bugs means that you’re getting a high-quality product that you can count on for your dog. You’ll just need to find something different to give to your cat.